Twelve outstanding employees have been selected as this year's winners of the Emory University Award of Distinction, which recognizes members of the Emory community who have demonstrated exceptional dedication to their jobs. 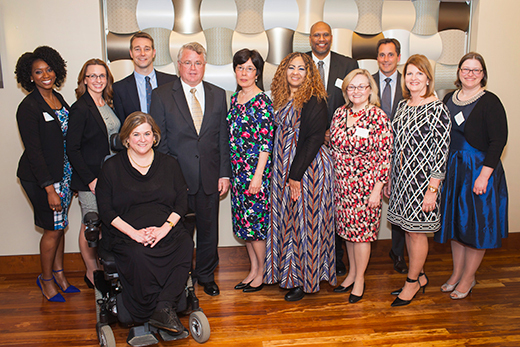 Honorees were celebrated at a dinner on March 22 with Emory President James Wagner and received a $1,000 award. As the senior administrator for the Serious Communicable Diseases Program, Bell establishes policies and procedures and organizes the recruitment and training of health care personnel working in the unit. In 2014, when Emory University was the first facility in the United States to care for patients with Ebola virus disease, Bell's leadership was absolutely critical. Her efforts not only allowed Emory to successfully care for four Ebola patients, but also to maintain the safety of the health care personnel. This highly unique achievement, in addition to her work on the Emory Ebola website, led to Emory’s international recognition as a leading institution for outstanding patient care and research. Additionally, Bell has brought in over $30 million in grant funding to support the work of the program, obtaining grants from the U.S. Centers for Disease Control and the Assistant Secretary for Preparedness and Response. Further, she has coordinated training programs for those who want to learn how to establish a similar infectious diseases program. To date, she has trained over 600 health care workers and public health officials from around the world. 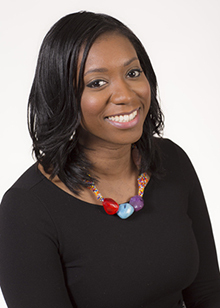 She has been one of two primary coordinators for the National Ebola Training and Education Center, a consortium of Emory, the University of Nebraska and the New York City Health and Hospitals Corporation, with the goal of improving U.S. preparedness for outbreaks of Ebola and other serious communicable diseases. She also worked with the State of Georgia’s Department of Public Health to improve infectious disease preparedness in the state. Working as a certified clinical research coordinator in the Department of Anesthesiology, Egan is credited with changing the attitude in her department from one of scientific disinterest to one of enthusiastic inquiry. When the department lost one of its most active researchers, there were only eight faculty members engaged in research working on 13 Institutional Review Board (IRB) approved study protocols. To increase interest in research, the department established an internal grant funding program, Team Based Science (TBS). However, engaging more faculty to become investigators required a major culture change. Egan undertook this challenge without hesitation. She met with department members and shepherded five new protocols through IRB approval, all from new investigators without prior ClTl certification. 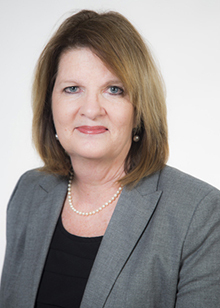 In addition to reviewing, editing and submitting TBS research proposals, Egan has also promoted research in numerous other ways: she wrote the "Introduction to Clinical Research at Emory Anesthesiology Guide," which serves as a roadmap to new investigators; she held lectures to explain the Emory research structure; and she helped with the development of a new electronic TBS grant submission system. Due to her efforts, the number of faculty members with ClTl certification and who are engaged in clinical research over the past two years has more than quadrupled to 34 and the number of IRB-approved protocols has more than doubled to 28. Egan’s work represents an exceptional contribution that has advanced the quality of anesthesiology research at Emory. Working as an administrative assistant in the Division of Animal Resources (DAR), Gipson has supported the quality of research at Emory through her dedication to customer service. One of her most important day-to-day responsibilities, and where she has invaluable expertise, is in the specialized procurement of research animals under conditions that are highly regulated by statutes and funding agencies. As one of just two people at Emory with this proficiency, she makes over 55 purchases per week from an array of over 10,000 different types of animals, with an error rate of only 0.04 percent. The value of her acquisitions in FY15 was $1,097,596 and the loss of income due to error only $26.40. She has been specifically praised for her last-minute corrections of orders originating from labs; negotiating with a producer to forego their required contract to breed mice to meet an urgent need; and being at the helm whenever there is a complex multi-lab purchasing venture. Gipson is also credited with creating new and innovative solutions to make the procurement process more efficient. When faced with the predicament of lost and delayed invoices involving two suppliers, she took the initiative and implemented a change in practices; one supplier agreed to email the bills to DAR on the day of transaction and the other assigned a designated contact for Emory accounts to track down missing documents. In her role, Gipson has set a new bar in defining the customer service experience. 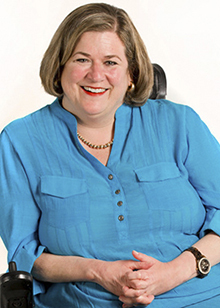 She is an asset to DAR and an Emory ambassador who enhances the University’s reputation. In her role as the assistant director of the Office of Multicultural Programs and Services (OMPS), Grant has positively transformed the services delivered to Emory students through her courageous leadership. Her dedication to meeting the needs of specific groups, such as black students and other communities of color, is unwavering. Since taking over the management of the MORE Mentoring Program, which was originally created by students, Grant has brought new life into the program by providing the strong leadership and direction it needed to remain relevant to the current needs of students. 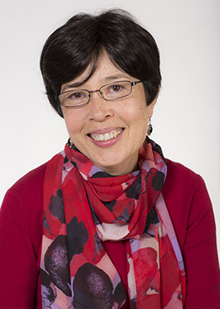 She has also worked collaboratively with numerous stakeholders to lay the foundation and build several new programs that provide tailored support and opportunities for students: the Asian Pacific Islander Experience (APEX), Building Leaders and Cultivating Knowledge (BLACK), and the Multi Ethnic and Racial Group at Emory (MERGE). Grant also serves as an adviser to the Emory Black Student Union and is a member of the University Diversity Senate. Recent events in the United States have highlighted the imminent need to confront and combat systemic oppression. Societal injustices have been receiving a great deal of attention in higher education as more students organize and collectively work and call for change. Grant’s commitment and passion for social justice are part of the vital resources indicative of Emory’s reputation as a destination university. Her work consistently improves the conditions and increases the support for Emory’s students of color while leading our community to a more just future. Gray is the graduate program coordinator for the Department of Economics. Her duties include managing events such as seminars, workshops, annual banquets and public talks; handling bookkeeping and reimbursements; supporting alumni relations and fundraising activities; serving as webmaster; and providing editorial support for "Econometric Reviews," the prestigious academic journal edited by economics professor Esfandiar Maasoumi. In all of these duties, Gray has been exemplary, but it is what she has done above and beyond her regular job duties that earns her this award. By assuming so many different roles and delivering the highest level of professionalism and efficacy, she has saved the department, the college and the University significantly. Last year, she played a pivotal role in preparing a revised PhD proposal for economics. Her work required collecting data, designing surveys, soliciting input from faculty, and summarizing the results. Gray is also very sensitive to the needs of the faculty, staff and students, demonstrating a clear dedication to the overall welfare of the economics department. As one example, when an international graduate student was physically assaulted and in need of a complicated facial operation, she rallied the students to support her, managed shifts, and even offered to move the student to her home after her release from the hospital. Finally, Gray has assumed the responsibility for overseeing the academic needs of non-economics students who take courses in the department, working extensively with campus program coordinators and student advisers. Gregory’s contributions as manager of commissioning and sustainable performance have not only touched every corner of the University, but also brought national recognition to Emory. When Emory established a goal to reduce energy by 25 percent by 2015, he proposed a business case for a continuous commissioning program called the Sustainable Performance Program. The program improves the baseline performance of a building by implementing engineer-led monitoring and optimization. It also maintains current function requirements throughout the entire life of the facility, ensuring systems will effectively and optimally serve re-purposed spaces. Gregory was able to convince management to invest in his concept and was afforded funding through the maintenance repair and renewal program. He also made the case for adding a commissioning specialist position. To date, the program has successfully recommissioned over 12 buildings resulting in operational savings of approximately 25-50 percent. In June 2015, the program received an EBie Award for Operational and Maintenance Excellence from the Urban Green Council. 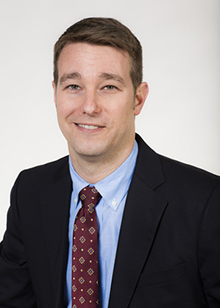 Additionally, Gregory published an article in the January/February issue of Facilities Manager, titled "Commissioning and Emory’s Sustainable Performance Program," and presented the program at the 2014 Educational Facilities Best Practices Summit and at the Georgia Environmental Conference. His contributions have not only resulted in significant savings, they have also brought Emory national recognition as a best practice for building optimization. 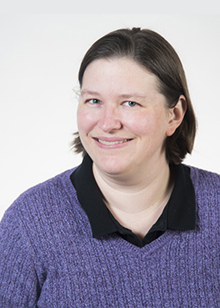 Hansen, an interlibrary loan coordinator for the Woodruff Library, is recognized for her long-term commitment to building the Interlibrary Loan (ILL) office into a first-rate, effective and efficient research partner for University faculty and graduate students. Her particular area of expertise is obtaining resources that are not part of Emory’s collections. While Emory’s collections have grown dramatically over the last three decades, it would be impossible to acquire all of the resources that faculty and students require to be successful. Instead, they rely heavily on Hansen and the ILL team to bring these resources to them from around the world in an astonishingly timely manner. The quality of support that faculty and students receive from her has been the making of Emory’s international research profile. In FY15, Emory’s faculty and students placed over 6,000 requests for materials with the ILL office. Of more than 120 research libraries in the United States, Emory ranked seventh in its fulfillment of requests for its users, meeting 89 percent of requests. Much of this success is due to Hansen. She truly takes a personal interest in the research projects across the university and she has a special commitment to the outcome of the work. As one graduate student puts it, “we could not be the scholars we are without her; we would not be a destination university without the level of professionalism and commitment she has brought to the ILL office.” Through her hard work and exceptional dedication, Hansen has made a contribution that advances and supports the quality of teaching and research at Emory. As director of information systems and technology, Kane has led a number of important committees that are University priorities. After Emory Healthcare experienced a significant security breach, Kane was proactive in ensuring the protection of Emory’s alumni and constituent donor records. She led a committee to mitigate data risk within DAR, an enormous project that covered six technology applications and more than 15 physical locations. She was also the first to respond and comply with the University’s security audit. 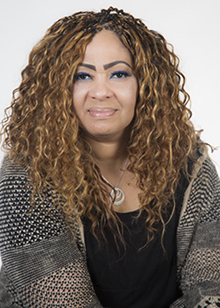 She led DAR’s inaugural committee for Diversity and Community, ensuring that a transparent baseline of awareness was established so that DAR could begin work immediately on priorities that would significantly enhance their commitment to inclusion and equity. Rather than working within a silo, Kane frequently engages her peers across the schools and units to minimize costs and create technology and business process solutions that have an impact beyond DAR. As one example, she created a knowledge-based Intranet in SharePoint that provided enterprise-wide utility. 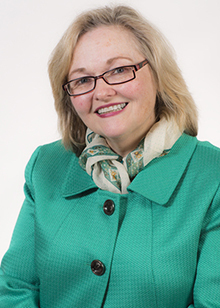 Her work was so successful that Rosemary Magee, then secretary of the University, asked for her support in developing BoardLink, the collaboration and knowledge-based platform for the Board of Trustees and other Emory volunteer committees. 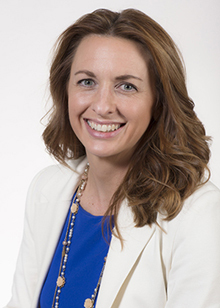 Kane further demonstrates her commitment to Emory through her volunteer leadership in the alumnae community where she serves as an alumni career mentor and is an active participant in the Alumnae Women of Emory network. 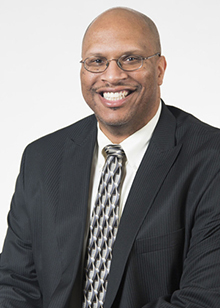 Malm, an administrative manager, has selflessly used his talents to enhance the culture at Emory, the Woodruff Health Sciences Center and the School of Nursing. His continued involvement across campus has directly benefitted the School of Nursing and broadened its impact on Emory University. 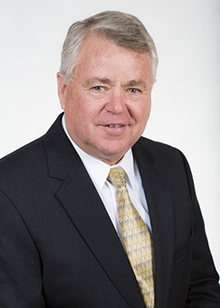 He has served on numerous boards and committees, including Healthy Emory and the International Association of Administrative Professionals. He has also served as a Wellness Champion, promoting the importance of wellness to the school’s faculty and staff. He organized the largest group at Emory to participate in National Walking Day in April; led weekly walking groups throughout the spring and summer semesters; organized the school’s Walking Challenge in 2014, getting 27 people to actively participate; and he started a stair challenge during the colder months to encourage people to take the stairs. Malm also played an integral role in overhauling the use of space within the school. Since the school is at full capacity within its physical structure, he helped develop an innovative solution, identifying underutilized space within the building and redesigning it to accommodate new workstations. He also helped the school expand its operations to Wesley Woods Geriatric Hospital, which provided even more space for faculty offices and clinical learning. Today, Wesley Woods is home to numerous classes and more than a dozen nursing faculty and staff offices. This move would not have occurred without Malm’s enthusiasm for supporting the school and encouraging his colleagues to support this new initiative. Powell’s many years of outstanding service in sustainability and landscape initiatives has had a direct impact on Emory’s remarkable beauty and function. 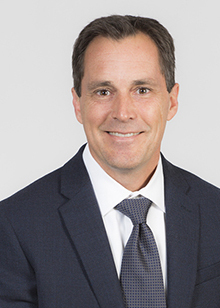 In his role as director of exterior services, he leads the team that is responsible for Emory’s short- and long-range land use management, tree canopy/ tree bank maintenance, and Emory’s waste diversion goals. His stewardship has resulted in planting over 465 trees on Emory’s Atlanta campus and 190 trees at Oxford, bringing Emory national recognition as a Tree Campus USA for the past five years and one of the Top 10 Most Amazing College Campuses in 2015. Powell has been a tireless proponent of the natural environment and his strong commitment to a sustainable campus is evident in his work. He assisted in the development of the No Net Tree Loss policy, he supports the Alliance to Improve Emory Village, and he sits on the Lullwater Management Committee. His work has included the secure document shredding program, non-native invasive species removal, educational sustainable campus gardens, the Wesley Wood Horticulture Therapy courtyard gardens, the Lullwater organic fertilization program, and high efficiency irrigation systems and rainwater harvesting/cistern programs that support water conservation. He also implemented a program to minimize pesticide use and worked with the Office of Sustainability Initiatives on a policy banning neonicotinoid use, a pesticide that is harmful to bee populations. Lastly, he was instrumental in the creation of the Emory Recycling Center, which garnered a 50 percent waste diversion rate in 2015. Smith’s keen intellect, far-reaching vision and steadfast work ethic have helped to shape Emory’s Michael C. Carlos Museum into one of the University’s crown jewels, serving both the Emory and the greater Atlanta communities. Smith has played a vital role in every aspect of the museum’s mission and growth, from curating exhibitions and writing major grant proposals to managing a growing staff and budget. She was instrumental in the 35,000 sq. ft. expansion of the museum’s facility, working with architects and Emory project managers to ensure that the facility would be a vital part of the intellectual life of the campus and the community. She has written many of the grants that have been transformative for the Carlos Museum. This includes the Lila Wallace Reader’s Digest Museum Accessibility Initiative that brought interactive computer programs into the galleries and provided funding for a series of educational programs that now form the core of the education department. She also wrote a series of Andrew W. Mellon grants to develop an on-site conservation lab, employ a full-time conservator with a commitment to University teaching, and create a series of programming initiatives to strengthen the relationship between the museum and Emory’s academic departments. Smith’s commitment to the Carlos Museum and to Emory over more than 30 years demonstrates that real and meaningful change comes from a lifetime commitment to a passion, developed with imagination and vision, and executed with discipline and determination. Through his leadership as athletic director of the Center for Healthful Living, Stubbs has demonstrated an unwavering commitment to the development of Oxford College’s athletic program. For four consecutive years, all Oxford varsity teams achieved an average team GPA above 3.0 and Oxford has produced 13 All Academic teams named by the National Junior College Athletic Association. These achievements demonstrate Stubbs’ commitment to the full student athlete experience, empowering students to perform their best both on and off the playing field. The varsity program has not only excelled in the classroom, it has also been highly competitive in sports. Oxford’s teams have won six national championships in men’s and women’s tennis as well as national runners-up in women’s soccer, impressive for a campus of just 950 students. Stubbs has served as the head men’s basketball coach since 2005, employing his own mentoring coaching style to positively influence student athletes. Because of his leadership, numerous student athletes have had transformative experiences while at Oxford; they enter as freshmen but leave as true campus leaders. Stubbs is not only dedicated to his students, but to the surrounding community as well. He has worked to connect Oxford College with the cities of Oxford and Covington, overseeing summer camps, tennis camps, and inviting community members to athletic events. Stubbs' leadership has truly resulted in promoting the Oxford College as a transformational place for first- and second-year students as well as a local community asset.